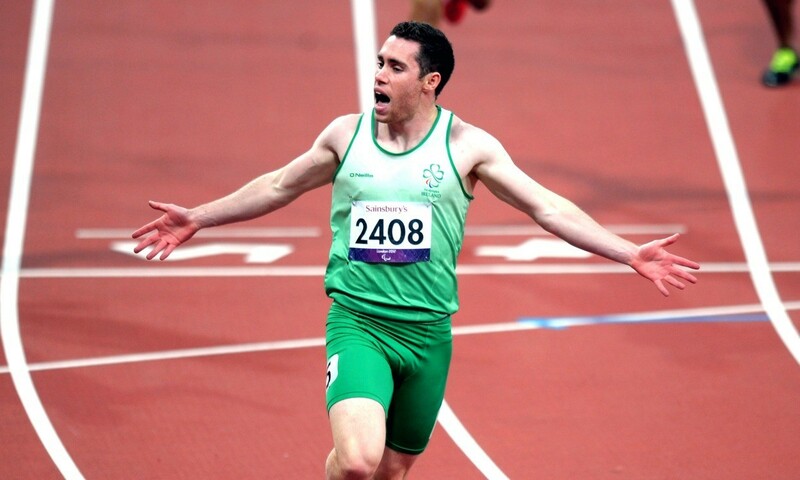 Four-time Paralympic gold medallist Jason Smyth is among the 14 athletes who have been selected for the Northern Ireland team at the Commonwealth Games in Glasgow. The visually-impaired sprinter, who added Paralympic 100m and 200m titles in London in 2012 to the golds he won over the same distances in Beijing four years before, has had his 100m spot for Glasgow confirmed, despite not having met the mark specified in the selection guideline in the given time period. Katie Kirk, who has improved her 800m PB this year by more than four seconds to 2:02.97, has been selected for the 200m, while pole vaulter Zoe Brown will compete at her third Commonwealth Games 16 years after her first, the 30-year-old having represented Northern Ireland in gymnastics in 1998 before her switch to pole vault. She finished 12th in the pole vault in Melbourne in 2006. Like Smyth, 1500m runner Daniel Mooney and hammer thrower Dempsey McGuigan also did not make the selection guideline marks but have secured their spots on the team where they will be joined by the likes of Paul Pollock in the 10,000m and Leon Reid in the 200m and 4x100m relay. “I am delighted that such a strong team of athletes has been selected to represent Northern Ireland at the Commonwealth Games in Glasgow,” commented Jacqueline McKernan, athlete development manager for Athletics Northern Ireland. Athletics teams for Jersey, Guernsey and the Isle of Man have also been confirmed. Jersey’s team features brother and sister throwers Zane and Shadine Duquemin. More on Jersey team news can be found here. Lee Merrien is set to represent Guernsey at his fourth consecutive Commonwealth Games and will be joined by Kylie Robilliard, Tom Druce and Sarah Mercier on the team. Keith Gerrard leads Isle of Man hopes in Glasgow, the former National and Inter-Counties cross-country champ joined by pole vaulter Olivia Curran, high jumper Reagan Dee and sprinter Harriet Pryke. The Glasgow Commonwealth Games take place from July 23 – August 3, with athletics action getting underway on July 27.